Even though 2016 has been our best year ever, we know 2017 will be even more amazing! Looking back at the end of each year is one of our favorite things to do because we’re always so amazed by all that can happen in just a 12-month period. The incredible amount of ground conquered each year can be credited to the amazing contractors who have come together to support each other while giving building owners more value and peace of mind than they can find anywhere else. It just wouldn’t be possible any other way! So what were some of the biggest highlights? Every time a new contractor joins the group, everyone benefits. There’s more shared experience, more connections for franchises who need service, more credible market presence, more trained contractors to help each other complete jobs, and more peace of mind – among other things. We started off the season with two workshops due to how fast our workshop in Ohio sold out in February. Both of the workshops were an absolute blast and we’re excited about doing the same thing again this year! For more info, visit: Nationwide Workshop & Forum page. Our website had approx. double-digit growth in traffic and that translated into more commercial roofing leads for endorsed members. We saw about a 50% gain over last year and double as many from 2014. Next year will be even better with the optimization that has been taking place! Every year we enjoy a special vacation together. This year we spent it in beautiful Cancun, Mexico! Master contractors in the group and their families got to enjoy time relaxing on the beach, golfing, snorkeling, excursions with tour guides, deep-sea fishing as well as many other activities. Up until this year, we always used the Internet to connect with contractors and building owners who needed service. Although this has always been very successful for us, we made it a priority to get a tradeshow booth and make our first impressions in person. After doing our first one, we saw what we were missing out on and did three more! Every year we go to the Conklin convention to spend time together as a group. We share what worked best in each of our own businesses as well as strategize for dominating the next year. At this particular convention, we also finalized several big changes with great support and it was key to how we did so well in 2016. 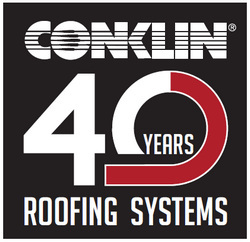 First off, Conklin is very excited about kicking off its 40th year in the commercial roofing industry in 2017. Notably, they still sell their original product under the same name today. Compare that to any other roofing system sold in the market! The way Conklin has maintained its reputation decade after decade is truly remarkable and we’re proud to represent their systems. 2016 has been an unprecedented year for Conklin Roofing Systems in terms of growth in its Master Contractor Program, annual sales volume, trained contractors and quality workmanship. Coast to coast, Conklin’s corporate staff team is encouraged and excited about its visits with many of its contractors, along with the wide variety of roofing systems and roofing products that have been applied and installed. Over the past month, we’ve made a number of changes to our website for faster speed, higher search engine rankings and better conversion rates (i.e. 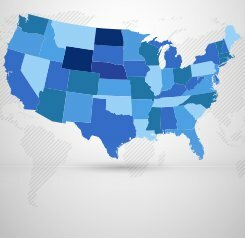 more leads received per website visitor). 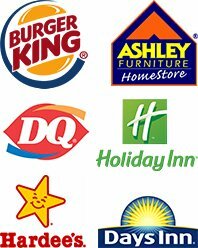 Our group will also be testing new marketing strategies and continue finding new ways to better serve commercial facilities. With companies like Yahoo! (NASDAQ: YHOO) now requesting estimates from us, there’s no questioning the value of our organization. Any company receiving service from an endorsed member benefits from knowledge/expertise of the whole group, more peace of mind, group-wide accountability, set standards for service, one source for all future projects regardless of type or location, and so much more. If you would like to learn more about joining the group or receiving service for your commercial building, you can reach us at (800) 670-5583 or use our Interactive Member Directory to talk directly to a member. We wish you great success as the new year comes in! Jonathan is an original co-founder of the group. He brings a wealth of experience in commercial roofing that spans from marketing, sales, product support and much more. 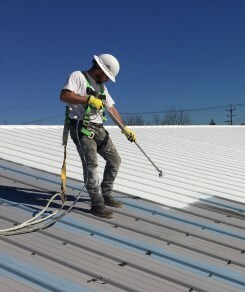 In addition to connecting building owners to reputable service providers throughout the nation, he has helped more than 200 contractors expand in the commercial roofing industry. This entry was posted on Wednesday, December 21st, 2016 at 12:57 pm and is filed under Building Owners, Commercial Roofing, Conklin Roofing Systems, Roof Contractor News. You can follow any responses to this entry through the Comments Feed feed. You can skip to the end and leave a response. Pinging is currently not allowed. Congratulations for an awesome year, guys! I love the supportive format you guys have built and think it will be a huge help to fellow contractors and your customers. I agree I also love the blog and all the new products that you guys put out on the web to showcase to everyone and give more knowledge about what is going on and what to look for. Before I signed on with this group and made the investment, I thought “This is too good to be true.” I mean I never sign up for this kind of stuff, people promising this and that. But for whatever reason, I resonated with the purpose and vision Jonathon and his team had for a national presence and training and mentoring new contractors. My Dad always told me “If its to good to be true, it probably is.” Well Im here to say that Im glad I didn’t listen to my Dads advice there, because this group has fulfilled all the promises it made to me initially and so much more. I can honestly say that I owe much of my success in the commercial sector to this group alone. Thanks Jonathon and team.